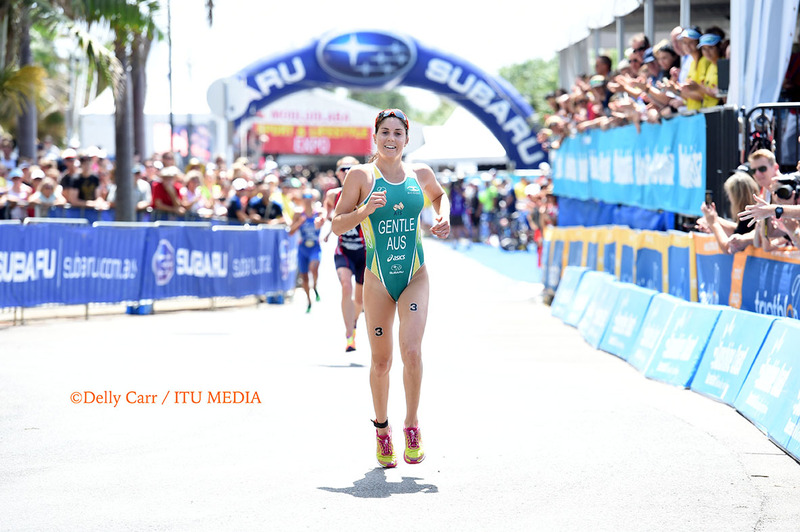 Mooloolaba will again play host to the opening event of the 2016 ITU World Cup season this weekend. This year is the 14th time that the Sunshine Coast desintation has held an ITU event, but this year watch out for slightly updated swim and run courses in the sprint event. The swim is scheduled closer to the main Mooloolaba beach, just outside the “loo with a view”. The run course this year has been shortened to three laps of 1.66km, which will mean the athletes have a little more hill to climb, both changes which could have an impact on the eventual winners. Fresh from their success at the opening World Triathlon Series event in Abu Dhabi, Great Britain’s Jodie Stimpson and Australia’s Ashleigh Gentle will headline the women’s race on the Sunshine Coast. Stimpson put in a strong all-round performance in Abu Dhabi to claim her first WTS win since 2014, while Gentle ran strongly into second, which was also her second all-time WTS medal. Both are also currently chasing form heading into WTS Gold Coast, a major selection event for their respective Olympic teams. Both are also previous medallists at Mooloolaba, Stimpson claimed silver in 2013 and Gentle bronze in 2015. But there will be plenty of other contenders on the line in Mooloolaba, including many who had strong hit-outs in Abu Dhabi. The USA’s Renee Tomlin finished fifth in that race, while Austria’s Sara Vilic claimed a an equal career-high seventh place, and Olympic medallist Lisa Norden finished 10th. The Netherlands’ Rachel Klamer will wear the No.1 ranking in this weekend’s race, and she will be looking to rebound after a tough outing in Abu Dhabi. Australia’s Emma Moffatt will make her season debut at home, and she is a multiple-medallist in Mooloolaba. 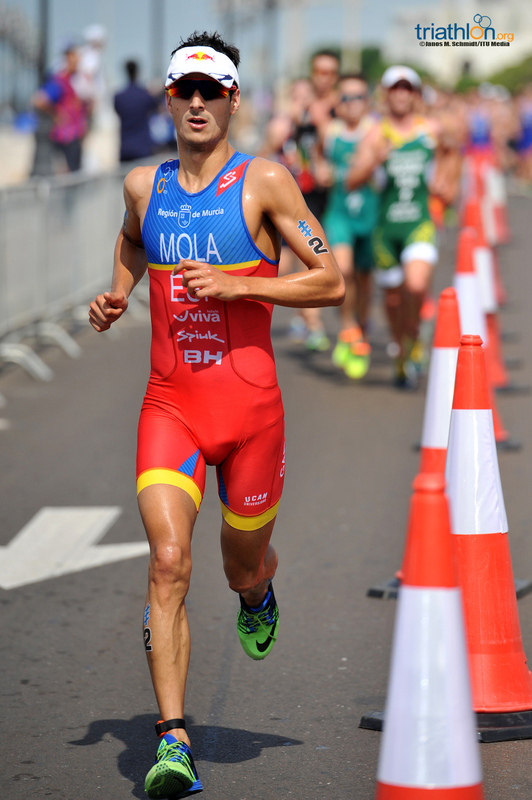 Spain’s Mario Mola leads a strong European contingent in Australia, including his compatriot Vicente Hernandez, a Mooloolaba podium finisher in 2015, Portugal’s Joao Pereira, Azerbaijan’s Rostyslav Pevtsov, Russia’s Alexander Bryukhankov, Germany’s Franz Loeschke, Steffen Justus and Gregor Buchholz, and France’s David Hauss. Given that not even a 15-second penalty could stop Mola in an impressive win at Abu Dhabi last weekend, and the No.1 ranked athlete has an even better record in sprint races, he is likely to be hard to beat in Australia. But the start list and the course does give pause for thought. The Mooloolaba surf is often unpredictable and can play an important role in setting the scene, with the absence of some of the circuit’s superfish for this race, expect to see some new faces at the front of the swim. While the sprint distance course means there is less time to make a difference in the bike, Mooloolaba’s tricky hill also lends itself to breakaways that can stick. Expect to see strong cyclists trying to make a difference in this leg, like Luciano Taccone and Thomas Bishop did last year. For Australian fans at home, there is some up and coming talent like new national champion Marcel Walkington, but also don’t forget veteran Courtney Atkinson. On a mission to qualify for this third Olympics, Atkinson dashed out of T2 early in Abu Dhabi, before fading and finishing up 31st. Atkinson last won the event in 2009, but a strong performance here will be key to his Olympic qualification campaign.